Just imagine if we were still able to walk into a store and be greeted by such a sight? This photo was taken by London's Evening Standard in January 1960. 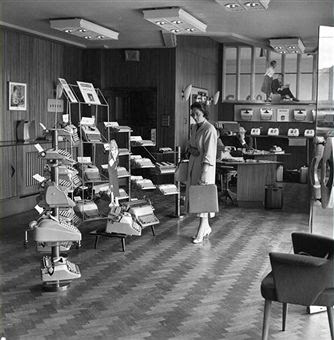 It's of a display of Adler's range of typewriters at the headquarters of the Typewriter Sundries company at Borough High Street in South London. That sort of display fixture would be perfect for displaying a collection. Actually, I could use one for the typewriters in my classroom. 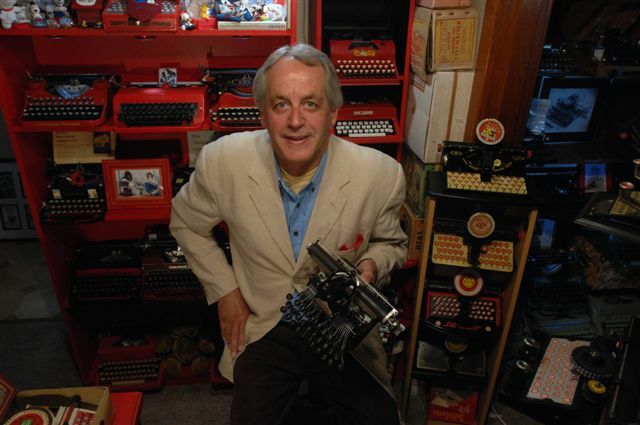 Tip: Watch the June ETCetera for a Peter Weil story on typewriter stores.